Air conditioning repair, replacement, and maintenance from trustworthy, established Cherry Hill HVAC contractors. There are few things more miserable than a hot summer day, especially if your air conditioning system quits working. At Climate Mechanics, we offer a wide range of air conditioning services in Cherry Hill and the surrounding communities. From keeping your air conditioning system functioning at full force with routine maintenance to fixing a busted system or installing a brand new one, we’ve got you covered. We have experience working with pretty much every model under the sun. When you call us, you know you’ll have quality service, repairs done right the first time, and cool, clean air you can rely. Call Climate to get a free estimate today. New Jersey may not deal with desert conditions during the summer, but the summer heat can still be hard to cope with. It’s all much easier when your home is equipped with a well-installed, properly-working air conditioning system. To ensure you have the right AC to keep your house and family cool, you want to work with the best HVAC experts you can find. Our technicians are not only skilled with AC installation and repair services, but also deliver excellent customer service. We truly care about our customers. Climate Mechanics LLC is the HVAC contractor who can take care of your air conditioner needs. We have over 25 years of history in the industry, and can service all makes and models of cooling systems. We have a strong commitment to seeing that your house is kept comfortable. How can we change your climate today? The technology of air conditioners has changed and expanded over the decades. The choice for a new household cooling system is a bit more complicated because of it. Central air conditioning: This is the standard system used for most homes. An outdoor unit and an indoor unit connected to a ventilation system. If you already have ductwork in your house, this is one of your best options. 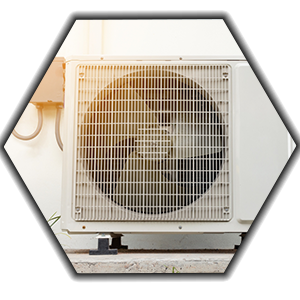 Heat pumps: These are similar to standard central air conditioning systems, but with the important exception that they can switch the direction they operate so they can also heat homes in the winter. Ductless systems: For new construction projects, or for homes that lack space for ducts, these ductless mini splits are an excellent choice. Installing ductless HVAC systems can help with energy savings as well. When you’re looking for a new cooling system, it can be stressful to figure out what the best choice would be. When you get a free estimate with us, we’ll not only run through the costs, but also the pros and cons of each type of AC system. We want you to have all the information at your fingertips, so you can make an informed decision. We’ll never recommend a system you don’t actually need. Getting new HVAC can be stressful. However, our experts are here to walk you through the entire process so you never have to feel like you’re going through it alone. However, installing a new AC is only one of the important air conditioning services we offer in Cherry Hill, NJ and the surrounding areas. It’s our goal to see that you have the proper temperature in your home, and that means seeing you receive fast and accurate repair work when necessary. We are more than happy to schedule a service for you as well. We look forward to working with you! Even though we’re always happy to help fix a malfunctioning air conditioner, we’re even happier to help you prevent malfunctions in the first place. The key to doing that is regular maintenance. Each year, our technicians will come to your home to prep the AC for the coming summer with a detailed tune–up and inspection. AC repair and maintenance services in Cherry Hill, NJ are in place to make sure you have a functioning AC unit at all times during the hot summer months. Give us a call today! You can call many different HVAC contractors if you need local air conditioning service. What sets us apart? First is our dedication to your comfort—not for a month or even a season, but all year–round. Second is the state–of–the–art technology we bring to each job. Third is the quality of customer service we offer. Our technicians are trained in more than HVAC equipment. They’re trained in working closely with you to answer all of your questions and give you guidance. Climate Mechanics LLC is your top choice for AC services and much more. If you have any questions regarding air conditioning installation for your Cherry Hill home, make sure to contact us today. We’re happy to serve you any way we can!